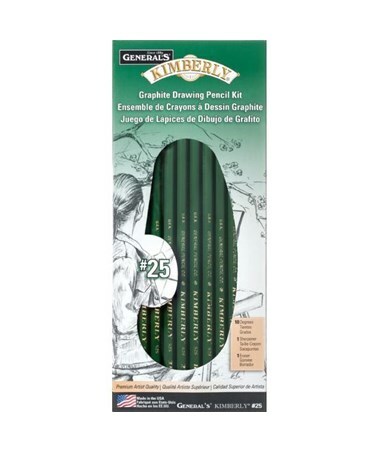 The General’s Kimberly Premium Graphite Drawing Pencil Set is a useful and versatile drawing tool for every artist, hobbyist, and draftsman. 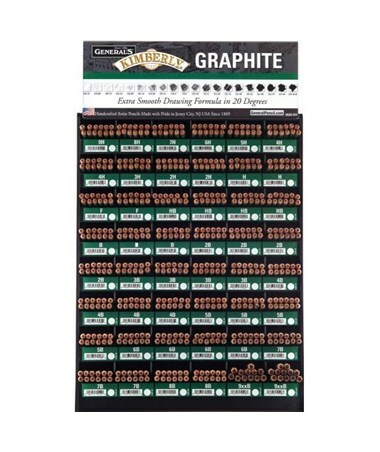 It offers various graphite pencils of different degrees in one package, from the extra soft 9XXB up to the hardest 9H, to accommodate most drawing and drafting needs. 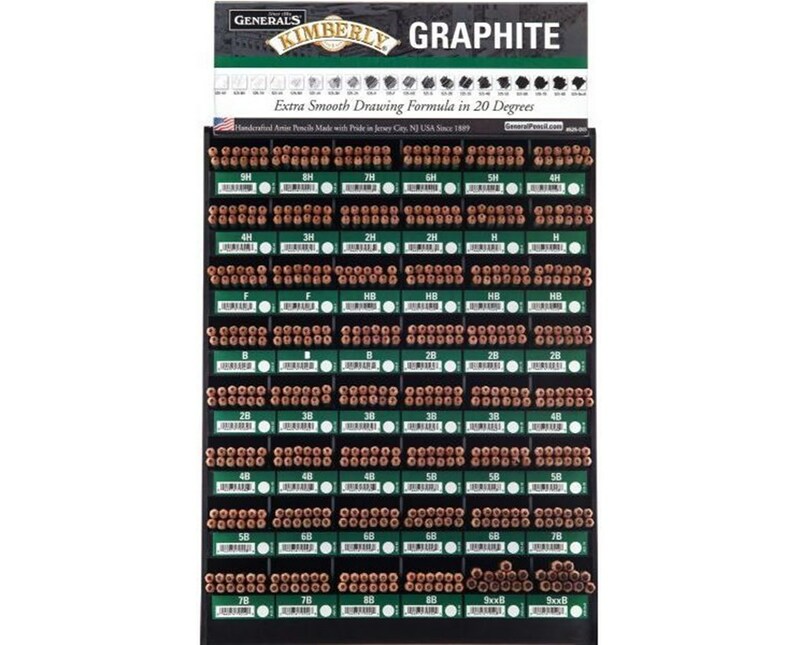 It is available in ten-pencil set, 12-pencil set, or in a 12"W x 19 ½"H x 8 ½"L display that contains 576 assorted graphite pencils. 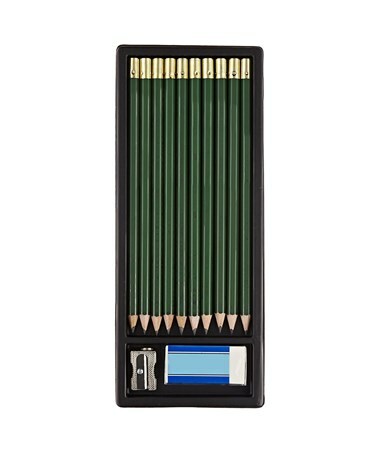 The General’s Kimberly Premium Graphite Drawing Pencil Set is made of California incense cedar wood that is especially treated for easy and smooth sharpening. Its dark green finish comes with a clearly stamped degree to allow quick recognition. With a durable, non-porous lead, it can be sharpened to extra long point without breaking. The General’s Kimberly Premium Graphite Drawing Pencil Set comes in three different package options. Please select your preference from the menu above. This package includes: 10 General’s Kimberly Premium Graphite Drawing Pencils (4H to 8B), Plastic Eraser, and Metal Sharpener. 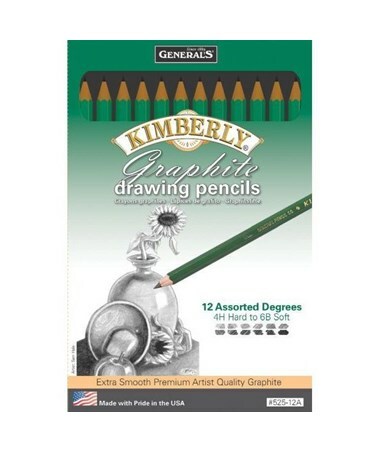 This package includes: 12 General’s Kimberly Premium Graphite Drawing Pencil (4H, 3H, 2H, H, F, HB, B, 2B, 3B, 4B, 5B, and 6B). This package includes: 12 General’s Kimberly Premium Graphite Drawing Pencil (9H, 8H, 7H, 6H, 5H, and 3H), 24 General’s Kimberly Premium Graphite Drawing Pencil (4H, 2H, H, F, 8B, and 9XXB), 36 General’s Kimberly Premium Graphite Drawing Pencil (B and 7B), and 48 General’s Kimberly Premium Graphite Drawing Pencil (HB, 2B, 3B, 4B, 5B, and 6B). 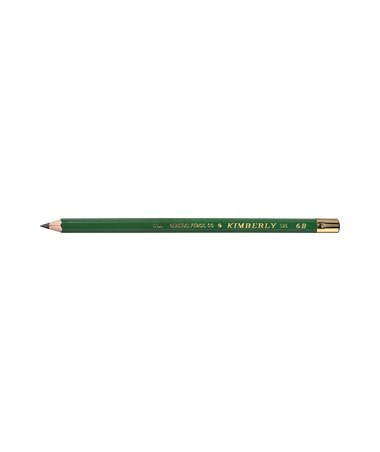 48 General’s Kimberly Premium Graphite Drawing Pencil (HB, 2B, 3B, 4B, 5B, and 6B).